As Poor Nameless Boy, Regina-based indie folk artist Joel Henderson leaves a piece of himself on stage every night he performs. His mellow sound is personal, speaking honestly about love, life, and our changing hearts in a busy world. 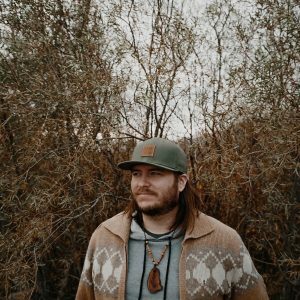 He has been described as a lighter version of Noah Gundersen with the wispy sounds of Gregory Alan Isakov. Listen carefully and take note of the passionate range of vocals and songs with stories, sung from the soul. "River & Trees" in Sasktel.